With the trends of pizza consumption in the UK rising slowly but steadily, there is little chance that Britons will lose their taste for pizza any time soon. So this could be a great chance for you to sell your business to an eager buyer. Whether you are simply looking for a new challenge or are ready to cash in your investment, here are the steps you need to take to make the most out of the sale. Just as baking the perfect pizza involves strict timing, so does the successful sale of your pizza restaurant. If your restaurant is performing well and you are looking for a new project or simply need a well-earned break, there is little else to consider. 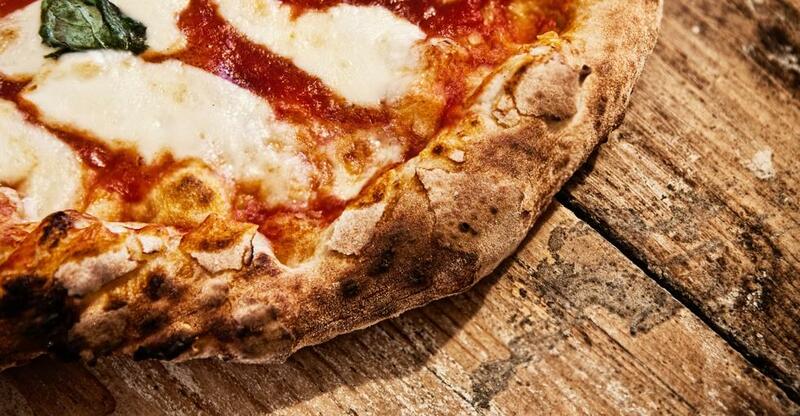 As we mentioned, Brits love a pizza, and there will be no shortage of buyers eager to listen to your offer. However, if you are burnt out and the business is on its last leg, we strongly encourage you to take a step back and give it one carefully planned push in order to reverse the negative spiral. A business in decline will always sell at less-than-market price; instead of taking one last painful financial hit, turn the ship around and get a fair price for it! Patience can be very lucrative here. Small businesses spend upwards of half a year on the market but do not be tempted to put up the FOR SALE signs before you have done your due diligence. Make sure all your books are in order, so that you can present a neat and easily navigable package of financial history to serious potential buyers and to your ultimate successor. If you are not the sole owner, get the explicit consent of your partners to go ahead. It would be best to have a notarised document to that effect so that you can operate freely. When these most important matters are in order, allow yourself sufficient time to prepare your announcement in order to attract the right kind of buyer. Appreciate how essential your personal involvement has been for the success for your pizza restaurant, both in terms of management style and individual character. Now take yourself out of that mental picture: does your pizza restaurant still sound attractive and valuable? If not, you need to actively decouple yourself from your business before it can be viable to sell. Will your staff be able to maintain the quality and standard of the service without you? Consider what makes your pizzeria stand out from the competition and spell it out, loud and proud. Being upfront about what makes your restaurant unique and special will help you attract the right kind of buyer who will appreciate the work and heart you have invested into it. Valuation is a tricky and complex subject. Your pizza restaurant is worth the world to you because you know best the countless hours, savings, and labour you have invested into it. Widely referred to as 'an art, not a science', valuation is a great example of how every business is different. Nevertheless, there are a few rules of thumb you need to know. Favourable market conditions and a solid balance sheet are two indubitable advantages. Owning the pizza restaurant's premises is another one, especially if your location can boast steady foot traffic. You can also point to Britain's sustained love of pizza as a projection of future profits in order to boost your valuation. Once you have found a potential buyer you can trust, it is time to get down to the nitty gritty. Walk into the negotiations with full knowledge of your restaurant's strengths and weaknesses. Be totally transparent in order to gain and retain the upper hand. However, do make sure not to leak confidential information and consider asking for an NDA. With this point-by-point guide, selling your pizza restaurant has the best chance of being a profitable success!